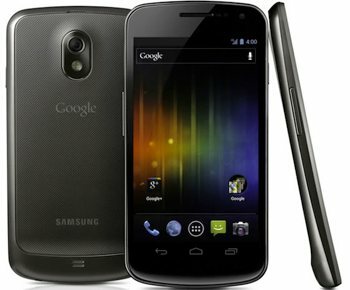 Less than a month removed from selling their Galaxy Nexus handset contract-free through the Google Play Store, the search giant is preparing to partner with multiple OEMs in an effort to have more than one pure Google device available at any given time. In fact, Google could market upwards of five Nexus handsets completely unlocked and running Android 5.0 Jelly Bean in the US, Asia and Europe. Multiple pure Google phones would provide customers with several options pertaining to selecting a wireless carrier. It will also ease fears that carriers might have about Google potentially favoring Motorola following their $12 billion acquisition. Furthermore, some believe the move could help to reduce carrier-induced bloatware and performance-robbing skinning. The strategy would be completely different for Google as they have only release three phones over the past three years: the HTC Nexus One, the Nexus S and the most recent Galaxy Nexus. Last month Google made a pure Galaxy Nexus phone available in the Google Play Store, free of contract for just $399. The phone was essentially identical to what users could buy through Sprint or Verizon with the exception of storage. The pure Nexus shipped with 16GB of storage rather than the 32GB option available through select carriers. Sources familiar with the situation say that Android 5.0 Jelly Bean should launch by Thanksgiving. In other words, it will be ready for Black Friday shopping and the ensuing lucrative holiday buying season. Google hasn't commented on the matter nor do we expect them to.